This post covers the areas around the town/villages of Siana and Mt Abu in Rajasthan. The thorn scrub and montane woodlands held some excellent species, several of which were life birds for me. 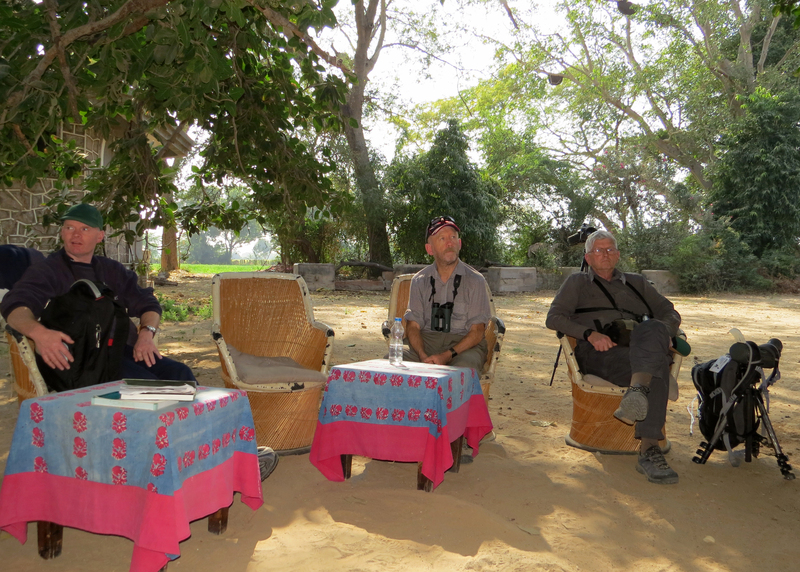 We arrived at our lodge at Siana in the early afternoon of 19th after some birding on route. The clearing by our chalets was dominated by this huge fig. …. and nearby trees held some enormous bee’s nests …. …. and a roosting Indian Scops Owl. 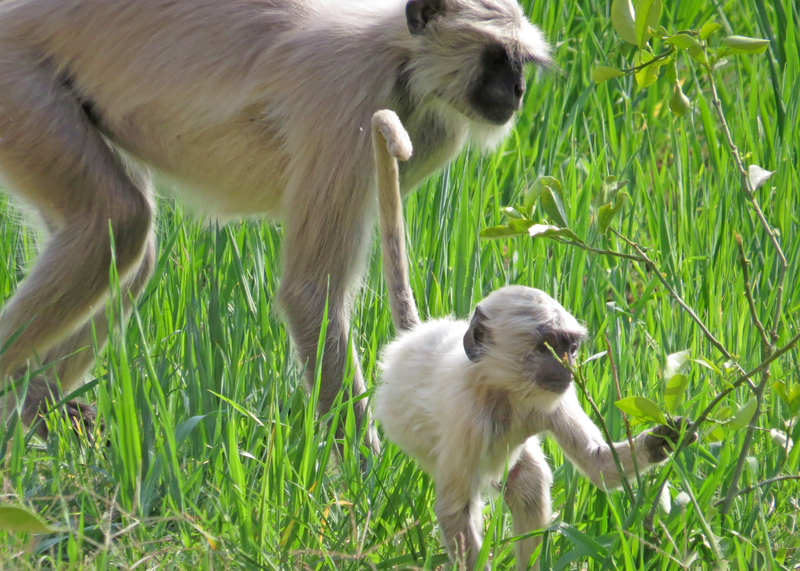 There were plenty of Hanuman Langurs in the area …. …. including this mother and baby. 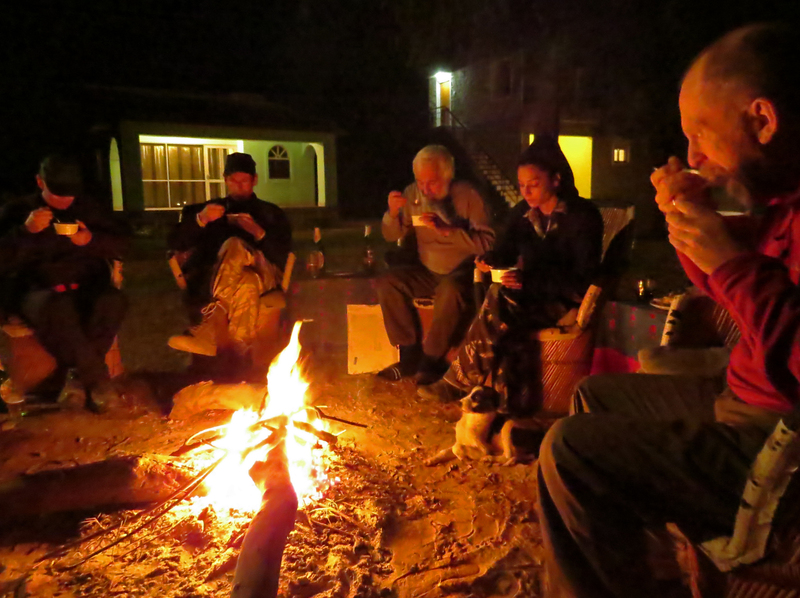 It was pretty cold at night so we huddled around an open fire to eat. Transport in the Siana area was in these open-sided (and open-fronted) jeeps. The area was composed of rocky hills and dense thorn scrub. We spent some time around this rock outcrop …. …. 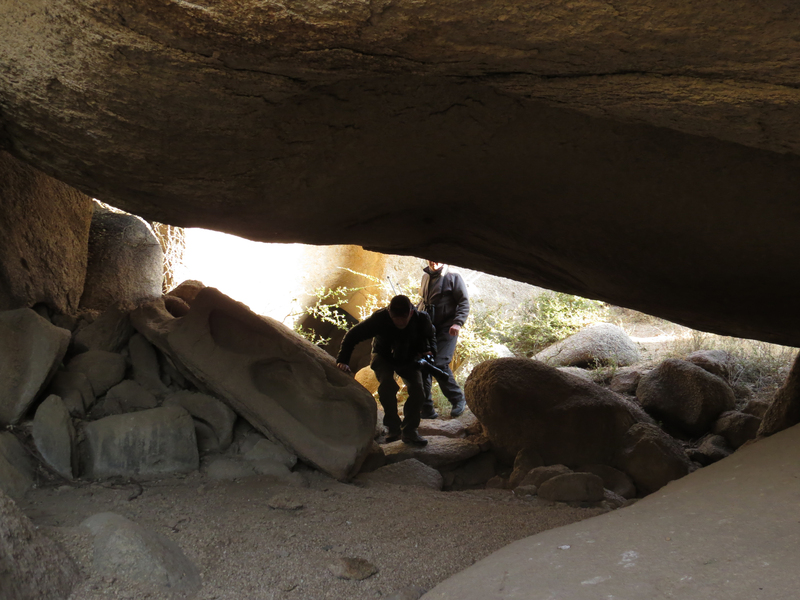 as this was the only place we were likely to see the critically endangered Indian Vulture which nests on the rock. 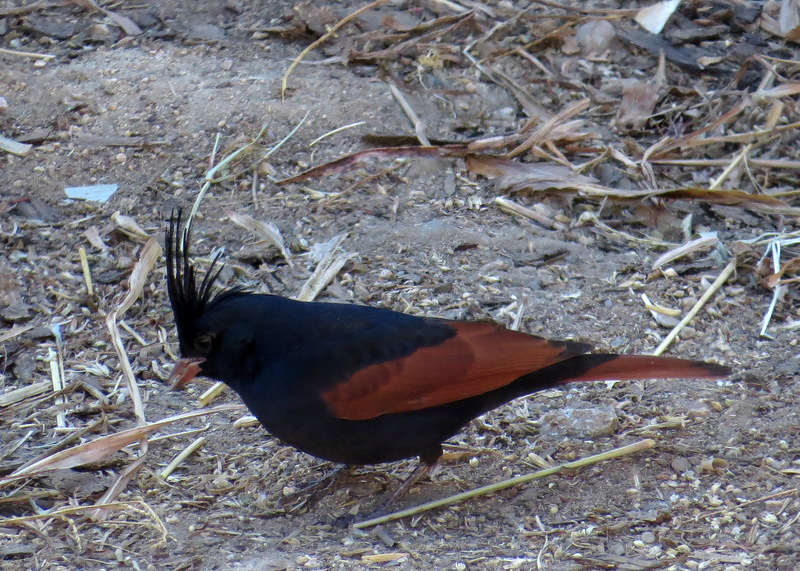 We saw at least four, possibly six of these birds during our time here. See the previous post for an explanation of the catastrophic decline of India’s vulture population. 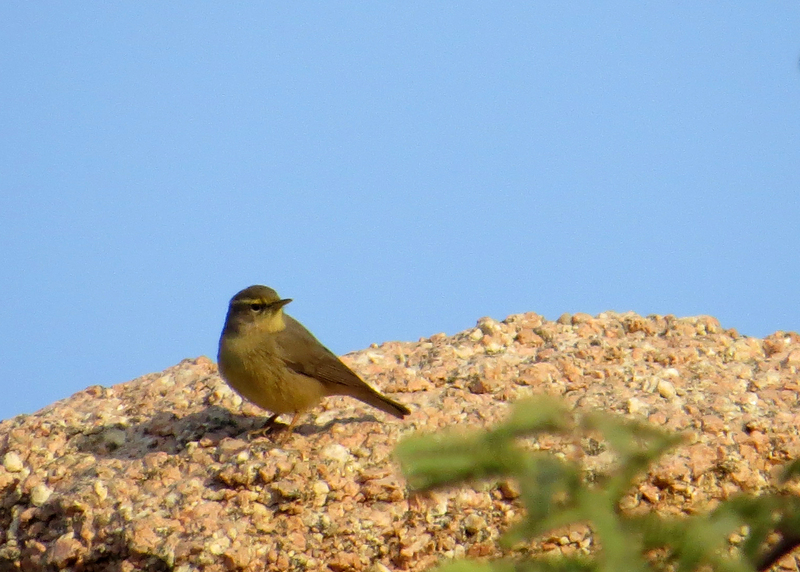 Between the rocky outcrops we saw a number of Sulphur-bellied Warblers, on the face of it just another hard to identify Phylloscopus warbler …. …. 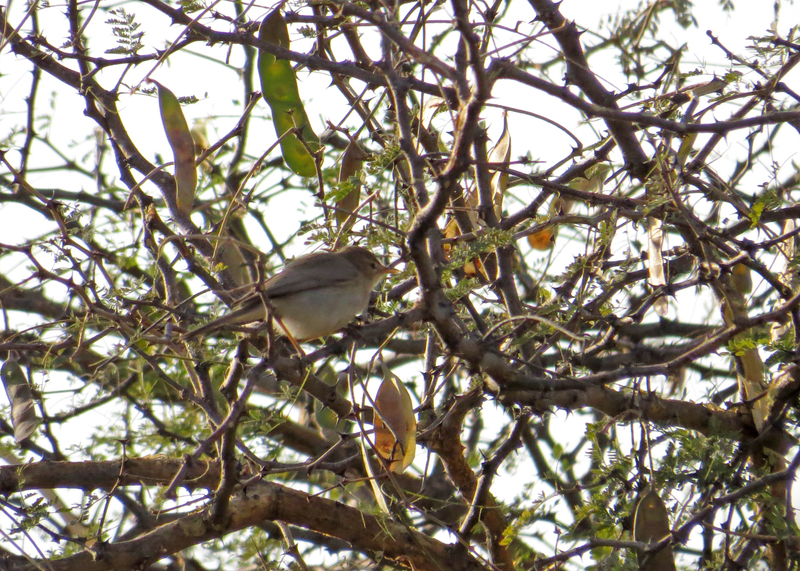 but in practice quite easy to identify due to its habit of foraging on tree trucks and rock faces rather than among the leaves. 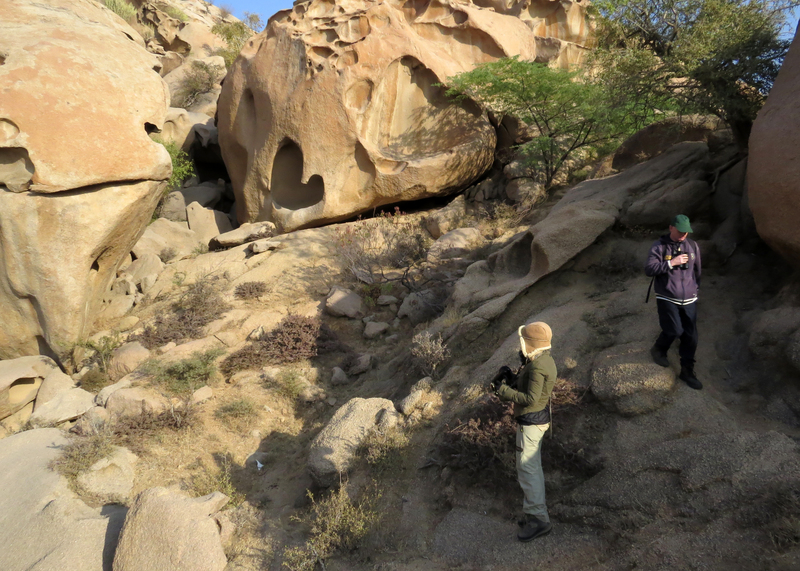 Speaking of rock faces we did a fair bit of scrambling and searching around them in an unsuccessful attempt to locate a roosting Indian Eagle Owl. We failed to find the owl but we did hear and see one in flight in the same area at dusk. 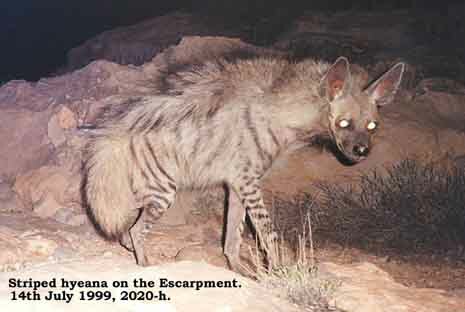 After we had seen the eagle owl we spent some time spotlighting the escarpment and eventually picked up the eye-shine of a distant Striped Hyena. Through the scope the views weren’t bad and we could see the striped legs and flanks, powerful muzzle and huge ears. I think this was the highlight of the entire trip for me. Of course under those circumstances I couldn’t get a photo so I have included this one from the IUCN Hyena specialist group’s website which was taken using a camera trap near Tehran, Iran by Alireza Mahdavi. On the top of one high outcrop a Short-toed Eagle peered down at us …. 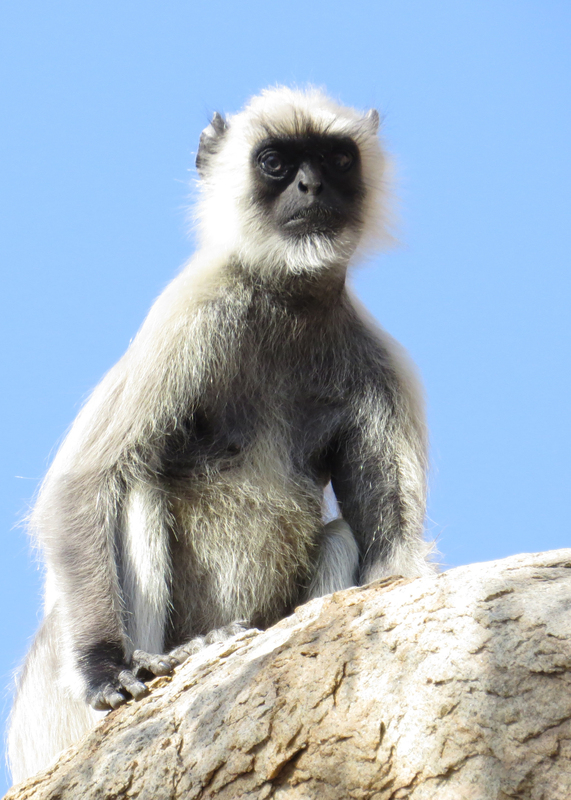 …whilst from another this Hanuman Langur stared disdainfully at us. Whether you call it Yellow-throated Sparrow or Chestnut-Shouldered Petronia, I got the best views I’ve ever had of this often elusive bird. 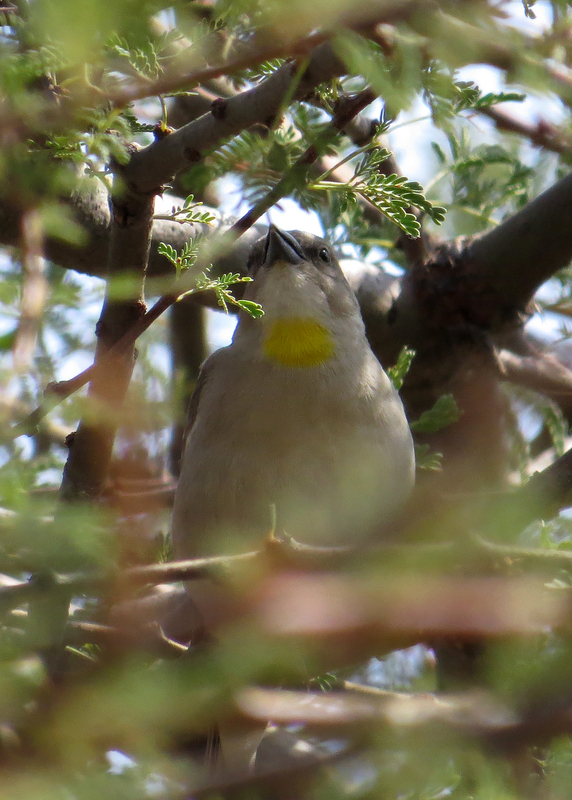 Syke’s Warblers were quite tricky as well. This scarce visitor from Central Asia has turned up in the UK on several occasions including Dorset. 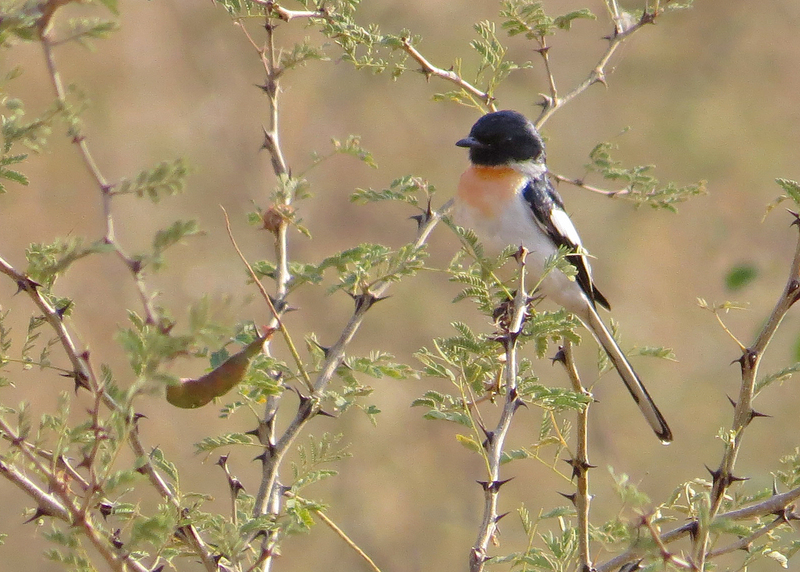 One of the key birds in this area was the beautiful, yet elusive White-bellied Minivet which we saw only once. Late in the day we quietly hid by this pool in the hope that Painted Sandgrouse would appear. 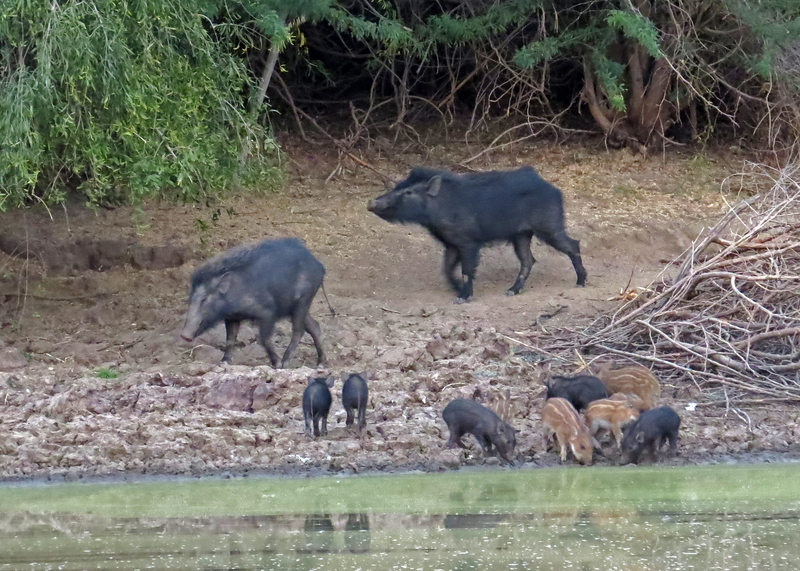 Whilst we were waiting this herd of Wild Boar came down to drink. 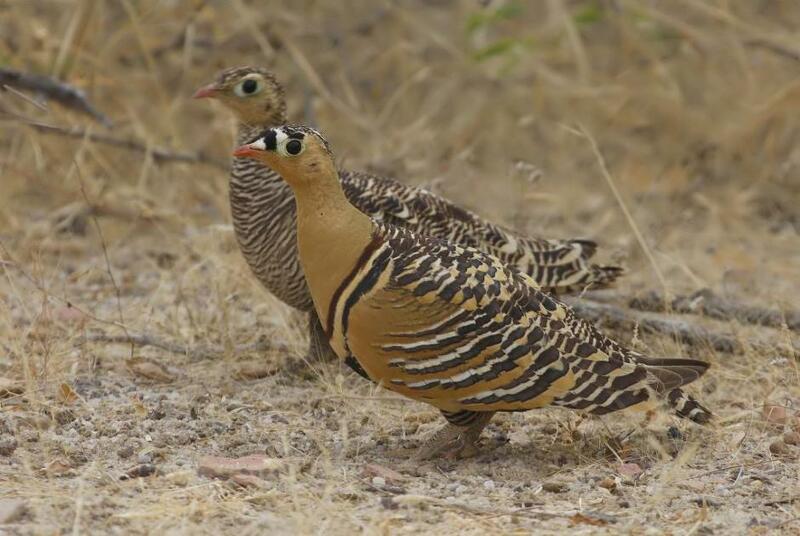 Eventually a pair of Painted Sandgrouse appeared but by now it was too dark for photography. 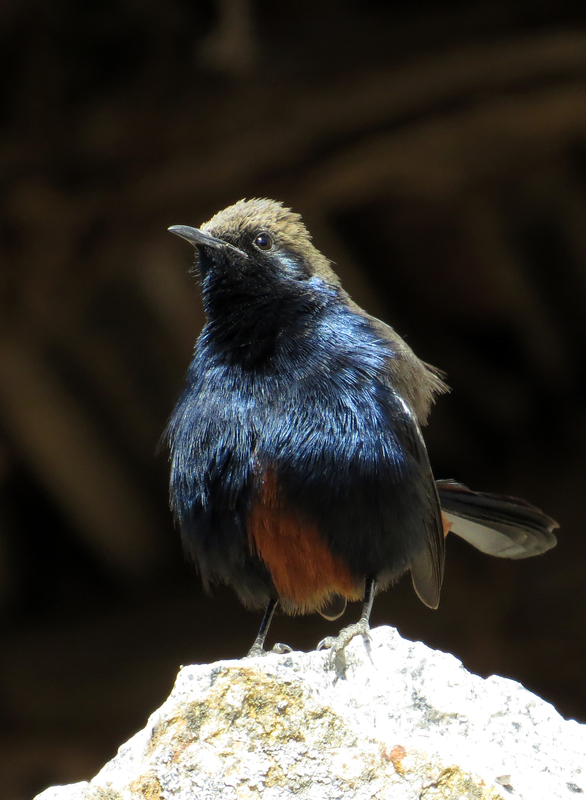 This photo from the Internet Bird Collection was taken by Jugal Tiwari in Gujarat. Painted Sandgrouse was the last of the 16 species of sandgrouse in the world for me, another family 100% under-the-belt. On the 21st we headed from Siana to Mt Abu, a former hill station in the Avalli range which is looking quite down-at-heels these days. 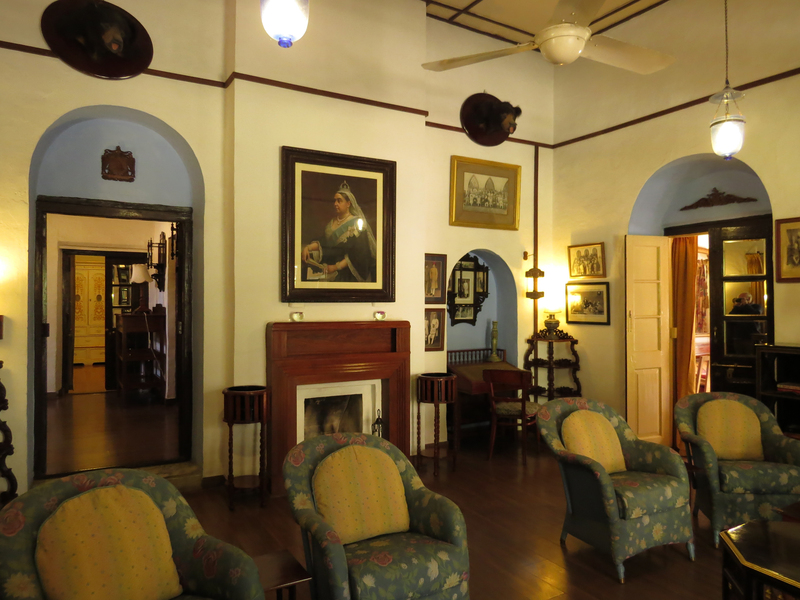 However our hotel, the Connaught House, is a throwback to the days of the Raj, with its paintings of Queen Victoria and photographs of officers and gentlemen in their finery. 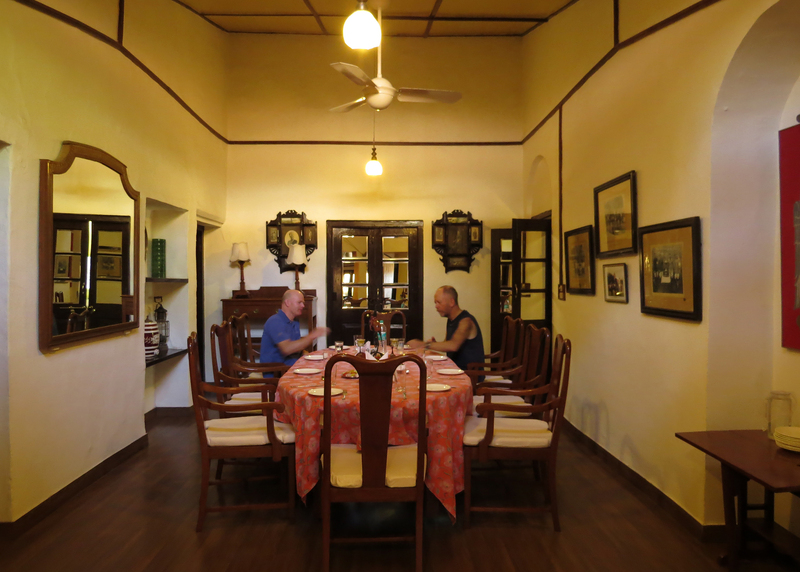 This is the dining room …. …. 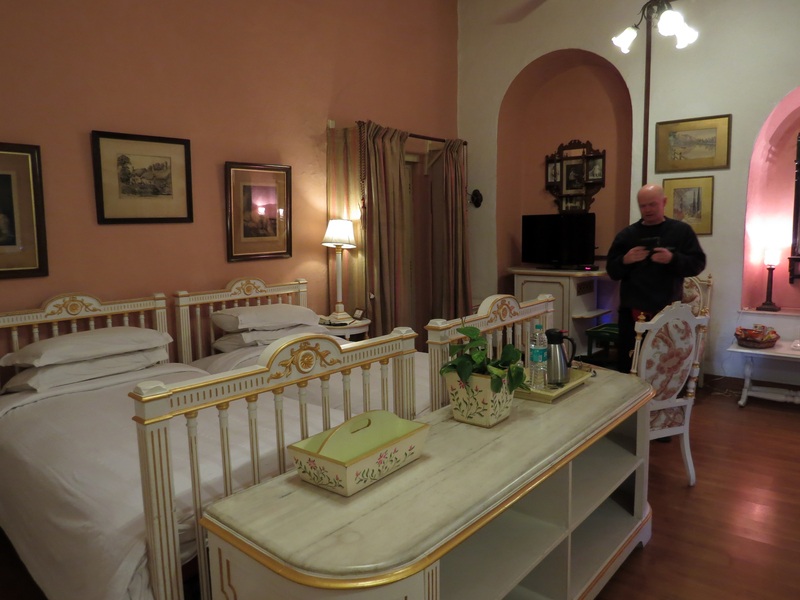 and here is one of the bedrooms. This place complies with the unwritten law on bird tours that the quality of the accommodation is inversely proportional to the length of stay! Back in the village we searched the fields, animal enclosures and trees for our target species …. …. 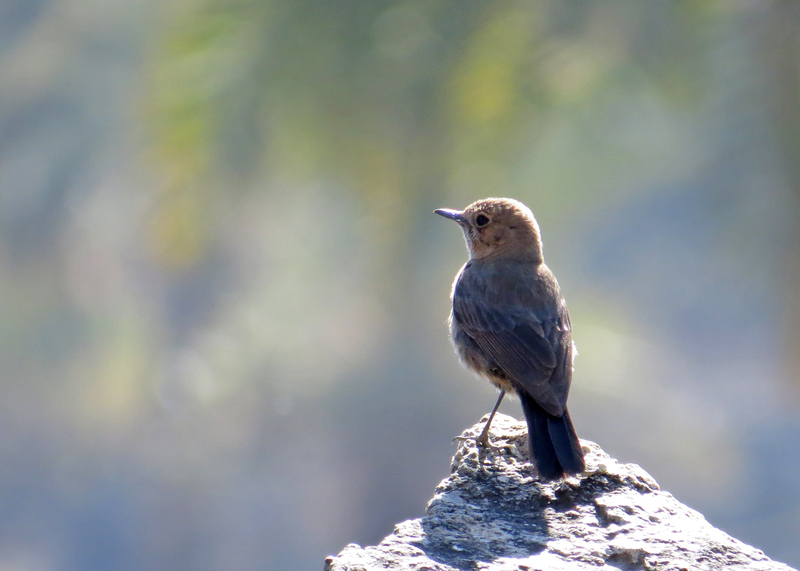 another Brown Rock Chat ‘doing what it says on the tin’ …. …. 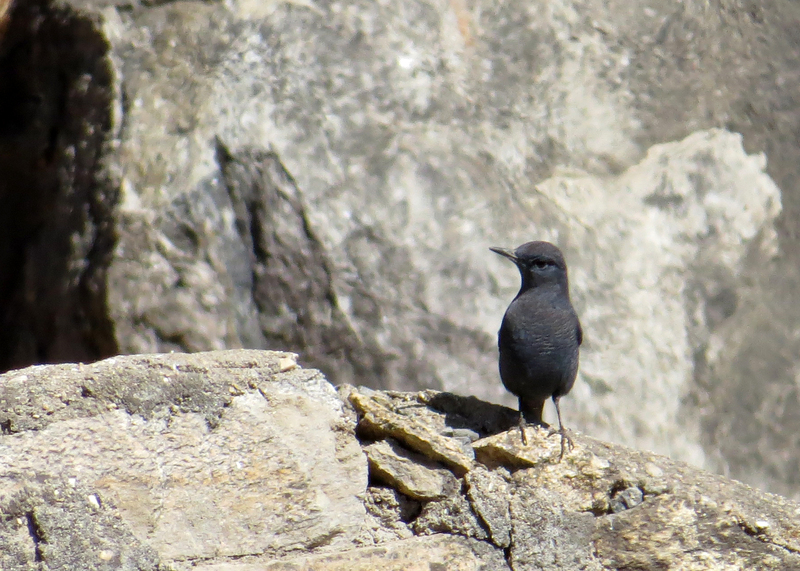 Blue Rock Thrush …. …. 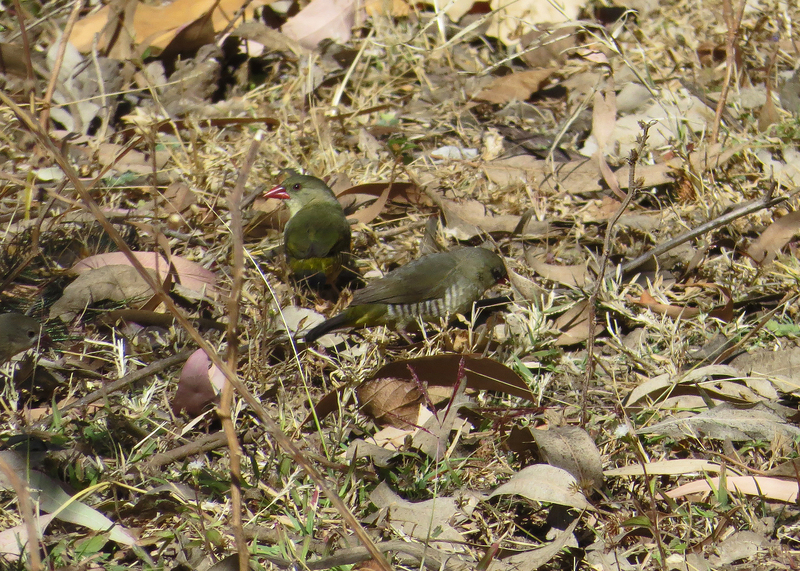 but most importantly a small flock of the very rare and localised Green Avadavat. 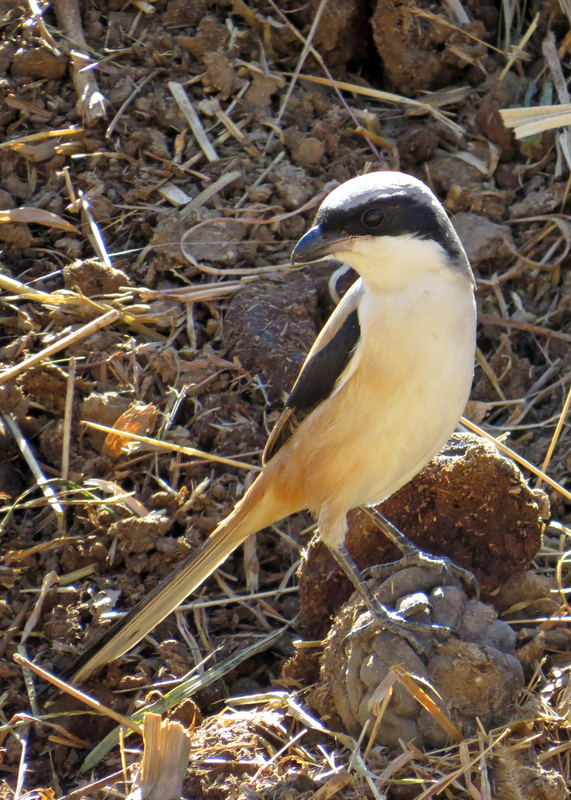 We left Mt Abu on the morning of 22nd after scoring with Red Spurfowl and Indian Scimitarbill. From here we headed into Gujarat, a state where both alcohol and meat are banned, not an attractive proposition for a beer-loving carnivore like me. That is Tom Radford on the right in the first photo! He’s been coming on trips with George and I for years. I instantly recognised his characteristic posture! Fantastic posts by the way Ian. Lots of work I’m sure but appreciated by me for one!